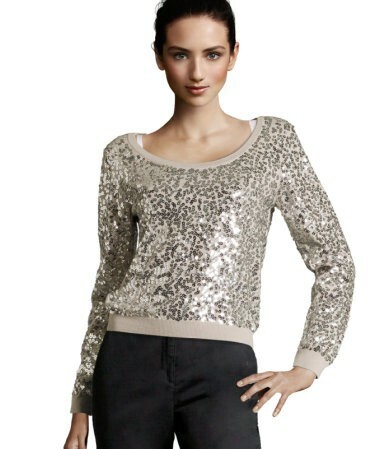 I bought this eye-catching sequin sweater today for only $6... regularly $34.95... that's my kind of bargain! Thanks! I have the perfect leather pants to wear the top with!